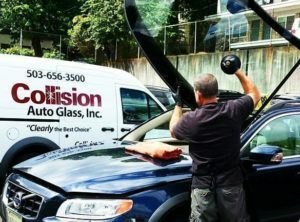 There shouldn’t be any barriers to replacing a broken windshield, which is why Collision Auto Glass makes it easy for West Linn drivers to get professional service. We have been serving the community since 2008 and know how to provide the best windshield replacement for fellow drivers. 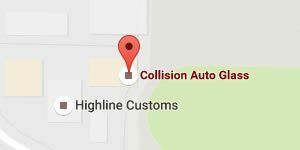 Every employee of Collision Auto Glass believes that the best reputations are built on the idea that total customer satisfaction is always achievable. 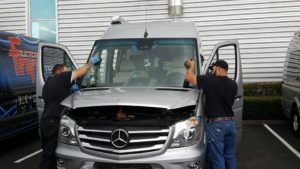 By using OEM standard replacement windshields and strategies gleaned from our certified training, our technicians work to make it happen with every job. Our strong relationships with local dealerships and suppliers, and affordable in-house and mobile service mean we prioritize maintaining high standards in an industry known for cutting corners. Always call a certified auto glass company to perform windshield replacements. Our technicians will come to you if driving is risky or even just inconvenient! Call today for mobile services. Since we are a preferred auto glass company that works with over 300 insurance companies, auto glass replacement doesn’t have to cost much, if anything at all. We are happy to help you connect with your insurance provider to verify deductibles and coverage details before performing any work. If replacement costs are not covered by your insurance, we do our best to minimize out-of-pocket costs. By sourcing our materials locally and ensuring that we only perform necessary repairs, you can get back on the road feeling relieved, not bankrupt! All replacement windshields come with a lifetime no-leak guarantee, and this applies to our emergency mobile services as well. If your car isn’t running or the windshield crack obscures the driver’s vision, don’t attempt to drive to either of our locations. We are more than happy to travel to you! If it’s an emergency, call us anytime. Otherwise, we can meet you at your home or office for extra convenience. OEM quality adhesives: Adhesive secures your windshield and prevents water leaks. We always use industry leading products such as our preferred SIKA urethane adhesive. Mobile auto glass services: We come to you! It doesn’t have to be an emergency, either. If you’re too busy to drop the car off, schedule an appointment. Damaged windshield disposal: There is no extra fee for this service. Same day service: Our technicians are all certified and provide same-day service with results you don’t have to second guess. Give Us a Call or Stop By the Shop for Expert Advice and Service! Getting a broken windshield replaced is a speedbump in our busy lives. We make it as seamless as possible so you can get back to life as usual. 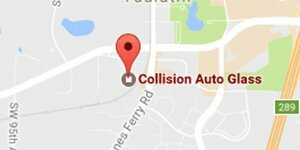 Stop by the shop, conveniently located just off Boones Ferry and SW Tualatin-Sherwood Road.